Breathing fresh air and connect with nature is very easy in Malaga. More than 50% of the province of Malaga is natural sites and parks, where hicking trails can be found everywhere and for all tastes. 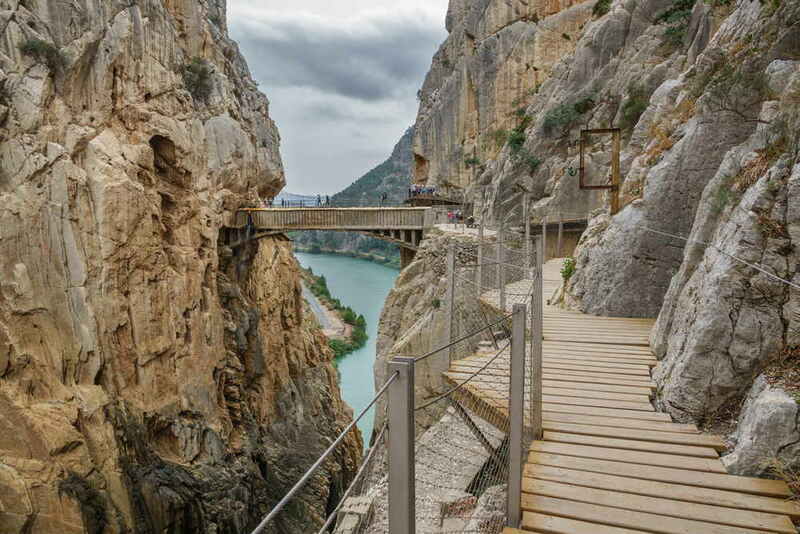 We can assure you there are incredible places to discover aside the well-known (and very impressive) “Caminito del Rey”. Malaga offers more than 40 official routes for hiking! Today we are just going to suggest you what we consider the most beautiful ones. One of the greatest pleasures of visiting the “Costa del Sol” is the ease of moving from the coast to the mountain in a matter of a few minutes. Without a doubt, Andalusia in general, and Malaga especially, combines all the requirements and the best conditions for hiking, one of the most booming activities among nature and sport lovers. The fantastic climate and unique natural spaces and full of landscape diversity make up an unparalleled offer of nature and hiking. So, we invite you to put on your boots and discover a gorgeous but quite unknown Malaga, where you will enjoy all its beauty and personality. Are you joining us on this #WiberExperience? For this trail route, we have chosen five different ones that will captivate you for their beauty and that are accessible to most people. Let’s start walking! Located in the centre of the province of Malaga, between Álora, Antequera and Ardales, it is the most famous path of the area. The “Caminito del Rey” runs through the” Desfiladero de los Gaitanes” natural place, an impressive canyon opened by the Guadalhorce River. It was inaugurated in 1921 by Alfonso XIII and quickly became part of the daily life of the inhabitants of “El Chorro” as just a passing route, with a functional purpose. This trail is elevated to almost 100 meters high on the bottom of the gorge where the river runs through 7.7 km. It was conditioned for the public utility again in 2015 although it follows the original road (which is impassable nowadays) and has two entrances (the north and the south) since it is a linear route. Currently there are shuttle buses that take you from one access to another, to return to the starting point without having to go back all the way. In addition, the “Caminito del Rey” it is said that it is one of the most dangerous routes in the world. Do you dare to cross it? We start this route next to the access road to Benahavís (where there is an area enabled to park). It is a practically flat route going next to the ditch parallel to the Guadalmina riverbed. 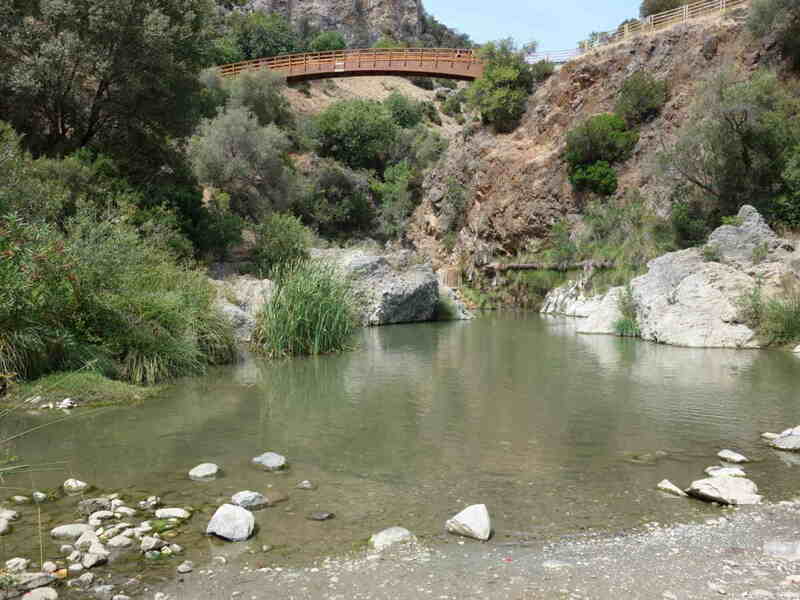 Enabled to the public since the end of 2014, the first step is to cross a wooden bridge from which there is an impressive view of the canyon through which the river passes through, which rises in the “Serrania de Ronda” and ends at the coast of Marbella. To get to the ditch, which this route takes the name after, you must overcome a steep climb although the whole road is practically flat, since it maintains the level of the ditch. Along this one-km-and-a-half trail, you can enjoy magnificent views of the Gualdamina basin. There are some bends in which you should take a break and take some pictures. When returning, you can take a small break to take a dip in this river. From the wooden bridge at the beginning, you can walk down to a pool. Another option is to take the car heading to Benahavín and stop by the “Charco de las Mozas”, a spectacular natural pool. This impressive natural site of limestone rocks and karstic landscape is unique in the world. Located between the Antequera and Villanueva de la Concepción, it is declared a World Heritage Site by UNESCO and has 1,171 hectares of protected space as there are many species of flora and fauna. 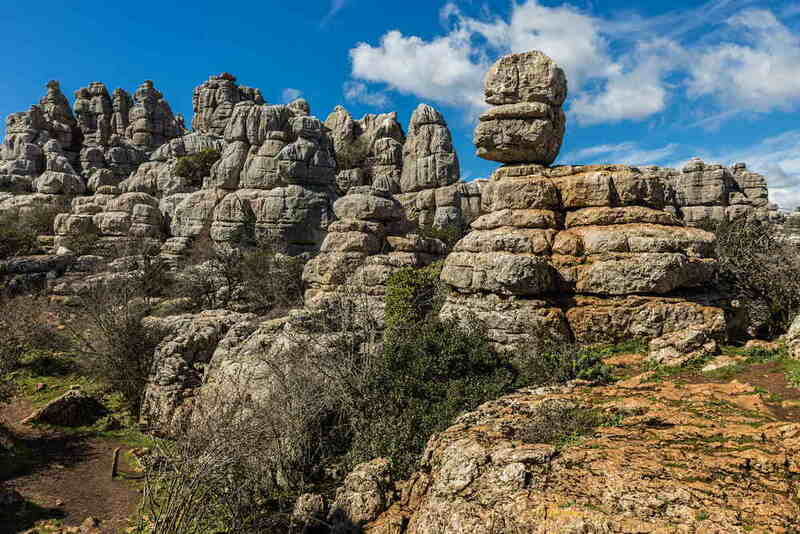 There are two well differentiated areas (the “Torcal Bajo” and the “Torcal Alto”) and there are three routes. The first one, the Orange route is the one that climbs on foot from the Torcal Bajo al Alto part. It is a route of 3.7 linear kilometres (with a drop of 253 meters) and flows into the Natural Monument of Tornillo, one of the best known (and photographed) places. The second, the Yellow Route, is already developed by the Torcal Alto and goes into the most humid and full of vegetation of the place so it is very important to follow the instructions to avoid getting lost. This is a circular route of about 3 kilometres long, with a vertical drop of 50 meters. Finally, the Green Route leads to the “Hoyo de la Burra” with a unique landscape, something of another world. This one has a circular route of a kilometre and a half. It has a drop of more than 40 meters, and it takes about 45 minutes to complete it. The fourth trail of our #WiberExperience starts at Icona Park and the Raja Ancha Recreation Area. From there, we take a spectacular and narrow path located between two rocks that will lead us to a viewpoint, from where you can enjoy a beautiful view of the town and all its surroundings. But the route does not end here and the path for the ascent to Santo continues. On the way you can make a stop at the “Cueva Oscura”, a cool place that has benches and tables carved into the rock to rest and recharge. We continue climbing through a pine forest until we reach an area of ​​bushes, where we can already see the image of the Sacred Heart of Jesus, better known as ‘El Santo’. Once you reach the great monument you will be in one of the highest points of the “Sierra Gibralmora”, a place full of contrasts and beautiful views. We drive back to the capital for the fifth and last route of this #WiberExperience. “Monte San Antón” is located in the eastern part of Malaga City and is popularly known as ‘Las Tetas de Malaga’. From here you can enjoy one of the best views of the city. The route, in general, is quite flat (except for the steepest climbs on both hills) and has two viewpoints from which to contemplate Malaga. 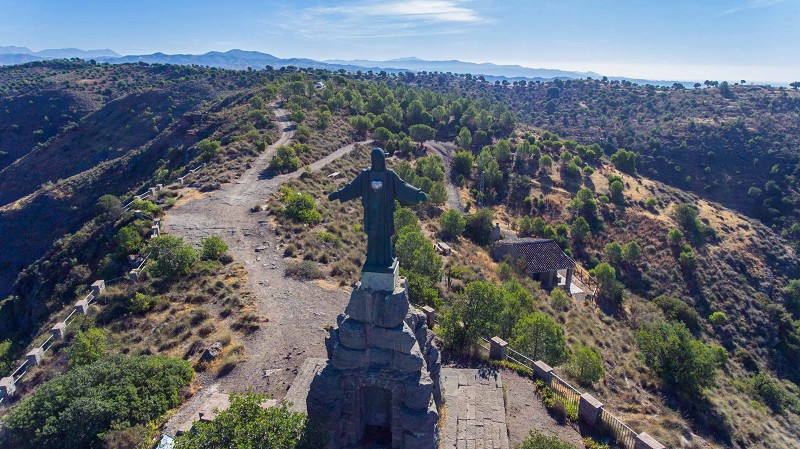 Once you reach the top, the so-called “Cruz de San Antón” awaits us, from which we can see the eastern and western coast of the Costa del Sol. Have you ever done any other hiking trail? Tell us all about it! And remember, rent a car at the Malaga Airport and do not miss any corner of this amazing area of Spain.